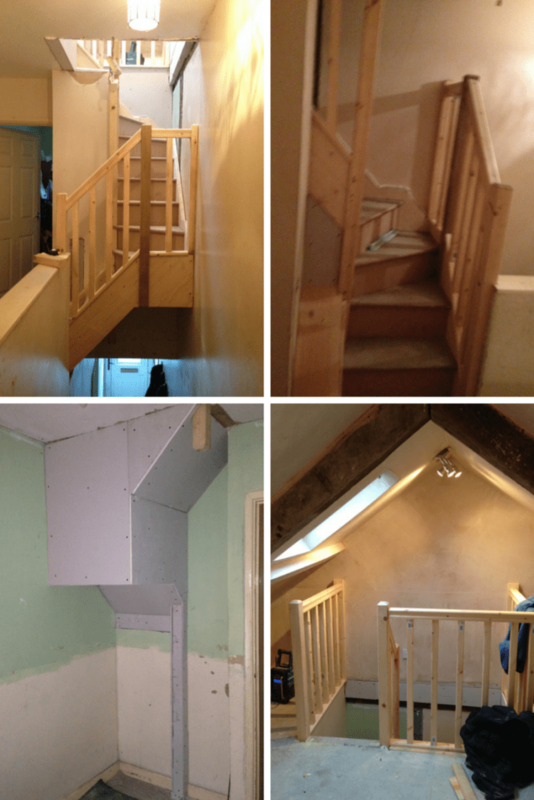 We didn’t want to create a bedroom in the attic, its a bit low for that, plus the stairs are open so no door. instead, we wanted to create a gaming, entertaining, chill out space for the kids. We have a small house, for the amount of people living in it. Plus, with only the one reception room downstairs and the kids getting bigger we are starting to get under each others feet so we felt that creating this space for them was the best thing, being as moving isn’t really an option. 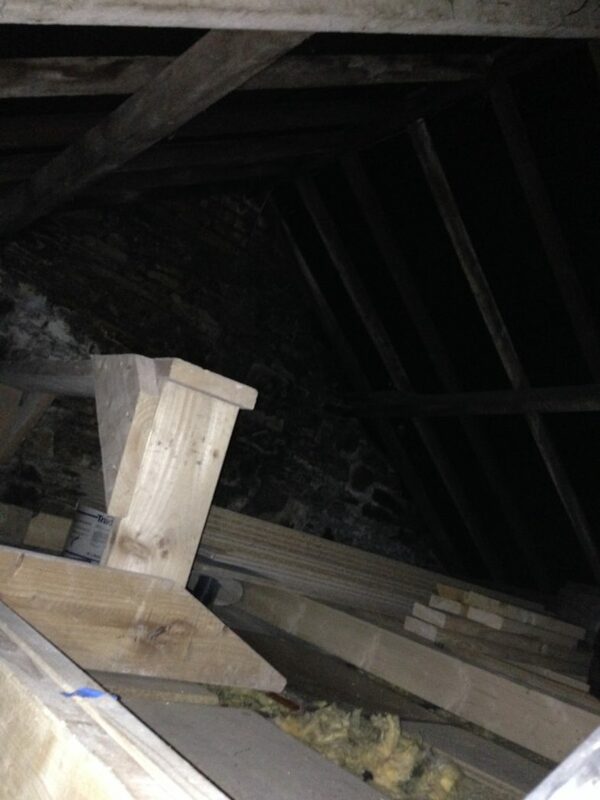 The first step to renovating the attic was a gruesome one. We needed to get rid of the rats that have plagued us for years. So for two weeks we were putting blocks of poison up there every day. Eventually, it wasn’t being taken and it all went quiet. 1. This is the hole left in the flooring for the new stairs, you can see the old joists underneath. 2. The first layer of insulation under the roof. 3. One of the end walls boxed out and insulated ready for plasterboard. 4. One of the two Velux windows. It took weeks for the stairs to be specially made. I was understandably a little concerned about having this huge hole, especially as there were still gaps and considering the previous rat problem, but luckily we soon had these fab new stairs installed. We had to cut into the boys bedroom wall, but we managed to keep the floor space underneath which was important as it is a tiny box room. It was finally time for the plasterer to come. You can see from the following images that our house is a typical higgledy piggledy mining valleys house. There isn’t a straight edge in sight, so even the new bits end up looking all wonky. But at least it’s quirky, I guess! Every time it rains we get wet coming through, in some places there are huge puddles. Obviously this is affecting our upstairs ceilings too, including our newly decorated bedroom! So we are now at a standstill, we can’t decorate until the roof is done and even though we are really lucky to have managed to sort out the funding we are waiting for the roofer to become available. We’ve been waiting since before Christmas but with all the stormy weather he is understandably running behind. 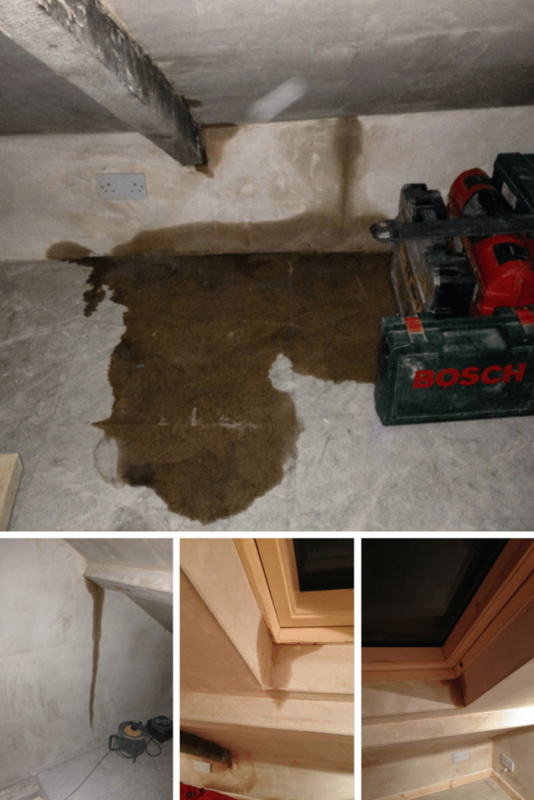 The builders have been up there and tried to seal in between the tiles as much as possible, which has helped, but it’s not 100% water tight still. So we wait. Hopefully not for too long though! 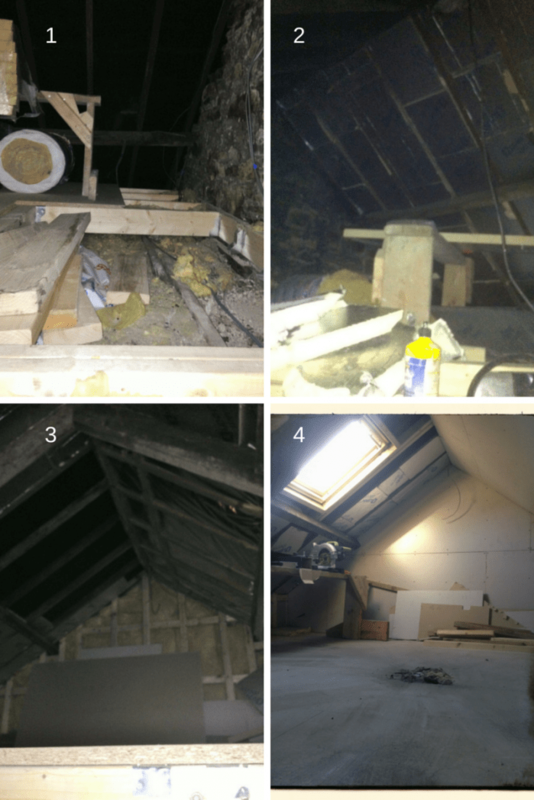 Over the coming months I will be updating you not just on the attic and other renovations but we will also be decorating the entire house top to bottom (apart from our bedroom) so I’m hoping to share with you my ideas as well as the final results. Are you getting any work done on your house or decorating this year? A Cornish Mum aka Stevie! recently posted…An Open Letter to All the Type 1 Diabetes Mums and Dads. Yes, it is very frustrating not being able to take the next step! 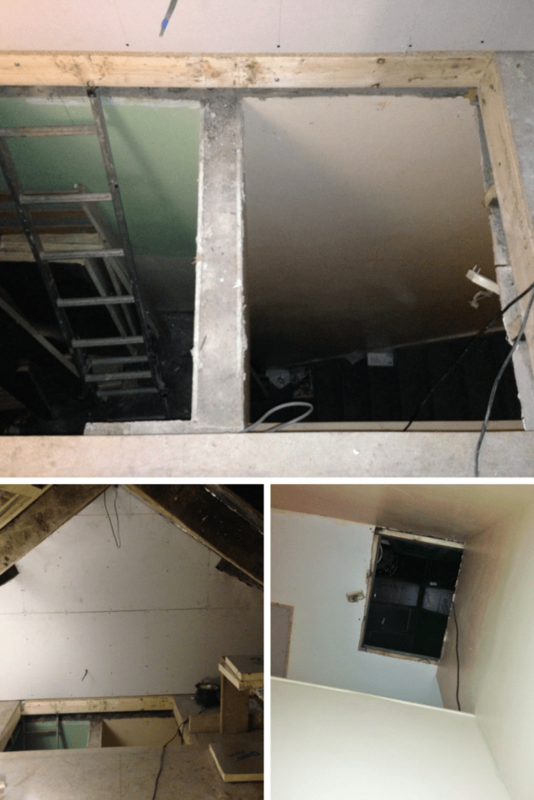 We can’t even do the girls bedroom until the attic is finished as they will need to sleep up there for a few days as there is so much to do. Will look forward to seeing how this progresses – good luck! urgh rats! Bet you are glad to see the back of those!! Good luck in the coming months- I bet it is going to look fab! This is a really nice project, and it certainly looks like you were making good progress! 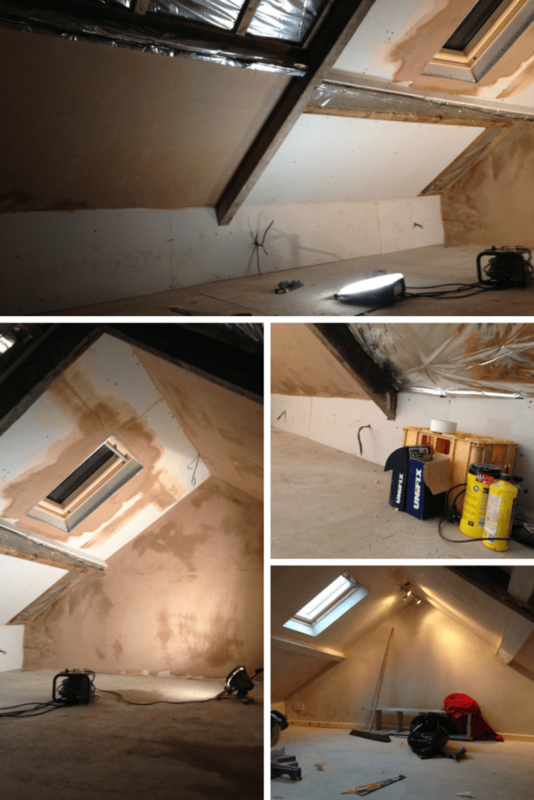 Making good use of such a large space like an attic is always an excellent idea. Good work! Thanks for sharing! You know what, my favorite place in the house is attic. Though at first, it seems frustrating to see how terrible it is. But as the time you start cleaning and see you work it would be awesome.